Do you love Ma Long? Do you love trickshots? If so you're in for a treat with the launch of the Ma Long x TATA Trickshot Challenge 2019. Prepare to be amazed as the ‘Dragon’ demonstrates his excellence in precision, completing a number of impressive challenges in a six-part series. 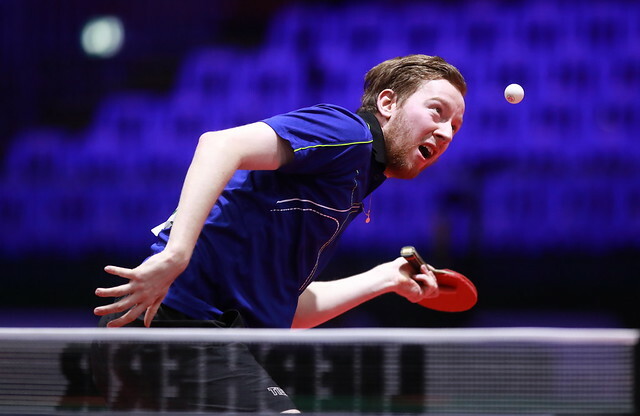 There are six individual trickshot videos set to release over the course of the next six days, leading up to the Liebherr 2019 ITTF World Table Tennis Championships where competitors from across the globe will try their hand at the challenge. In Budapest there will be one video per day featuring players attempting to pull off the trickshots performed by Ma Long along with new trickshots for your amusement. Leading up to the Liebherr 2019 ITTF World Table Tennis Championships the ITTF has launched the 2019 TATA Trickshot Challenge as a sponsorship activation for one of the major sponsors at the World Championships: TATA Wooden Door, a Chinese wooden door brand based in China. The goal of the campaign is to create brand awareness for TATA and its products, as well as promote the World Championships through fan engagement posts across the ITTF’s social media channels: Facebook, Instagram, Twitter, Youtube and Weibo.